Moto G5 Plus Release Date, Price, Specs, Features: Motorola is expected to launch its new smartphone in the market. The smartphones are Moto G5 and G5 Plus. These smartphones are expected to launch / release the next month in Mobile World Congress (MWC 2017) going to be held in Barcelona. 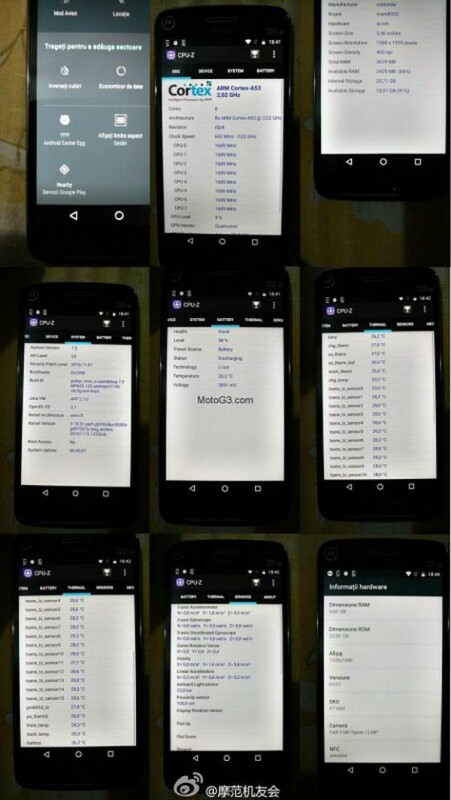 The information about the specs of G5 Plus has been leaked online. Not only are the price of the devices, but also the specs of the smartphone here. A total of images has been leaked on the web. Most of the pictures are showing the various parts of CPU-Z running in the Moto G 5 Plus. These are the successors of Moto G4 and Moto G4 Plus. Over the specs, Moto G5 Plus is expected to feature a 5.5 inches full HD Super-AMOLED display with an excellent resolution of 1920 x 1080. The protection of Corning Gorilla Glass 4 is provided to the screen. The device is rumored to come with 2 GHz Qualcomm’s Snapdragon 625 coupled with Adreno 506 graphics card. The RAM offered is 4 GB in the device and internal memory of 32 GB which can be further increased using a microSD card. For the camera lovers, the company is offering a rear camera of 16 megapixels with dual flash light. On the front board, there is a 5-megapixel camera for selfies and video calling. The device is powered by 3,080 mAh battery. It is quite obvious that the device will run Android OS v7.0 Nougat. The device will be equipped with a fingerprint sensor and other connectivity options like WiFi 802.11, USB Type-C, Bluetooth, GPS and much more. This device may also have gravity sensor in it. G5 is the lower version of Moto G 5 Plus. It will come with 16 GB internal memory, 13 megapixels rear camera and no fingerprint sensor. Rest all the features is expected to be same as that of Moto G5Plus. Since it if the higher version of Moto G5. So, it is cheaper than the other. The price Moto G5 Plus is expected to be $300 (approx. Rs. 20,400). And the Moto G5 is expected to be available at $230 (approx. Rs. 15,600). It is anticipated that India will get the devices at cheaper rates. In India, MG5 will be available at $191 (approx. Rs. 13,000), and G5 Plus may come in India at $220 (approx. Rs. 15,000). Xiaomi launched its Redmi Note 4 on January 19. Its highest version with 4GB RAM and 64GB inbuilt storage will be available from flash sales on Flipkart starting from January 23. Hope both the devices fulfill the expectations of the customers and consumers may get a good product. 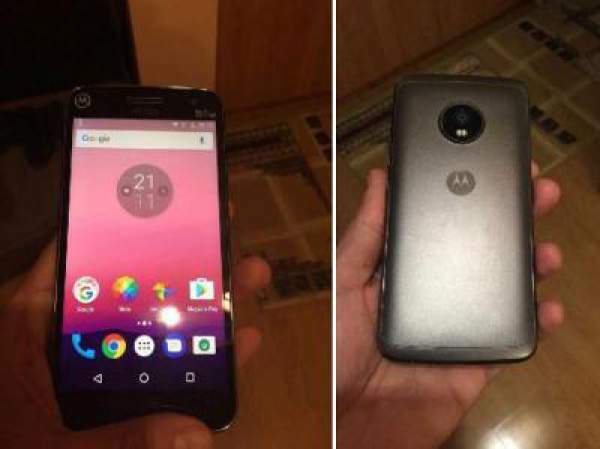 Stay tuned to The Reporter Times for more updates and rumors on Motorola phones.